First and foremost, keep in mind that this album is not the second coming of Jesus, nor will it turn the music industry on its head. The musical hype train has been speeding off its tracks recently, with Scurrilous, Empty Days and other 2011 albums riding along it at a rather dangerous speed. With all these recent overpraised records, individuals such as myself may become disheartened with our fellow sputniker’s opinions. However, believe me when I say The Discovery is the most interesting, unique, and FUN album of 2011 so far. 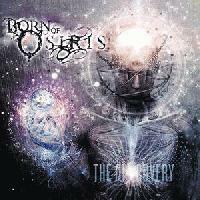 Born of Osiris have always been at the top of my very small list of melodic metal/deathcore/progressive shutthe***upcore bands I enjoy, and what The Discovery essentially does is make the other contenders null and void. The guitar leads, and instrumentation in general, on the album is phenomenal. It is primarily a guitarist’s album, and non-musicians may have a hard time appreciating the layers of guitar harmonies, keyboard arpeggios and shifty rhythms. The Tom Morello-esque lead a half a minute into “Recreate”, standout solo in “Dissimulation” and the entirety of “Singularity” (super cool song titles, right) are just a few of guitarist Lee McKinney’s highlight moments on The Discovery. Musically in general, the album is an extremely melodic, yet simultaneously very heavy record, rather than the terribly overdone heavy/soft/heavy/soft cliché many of their labelmates and genremates love to use. It is complimented by a couple ambient-ish electronic sections, mainly “The Omniscient” and “A Solution”; the latter even featuring decent clean vocals. There are solos galore, a fair amount of chugging, and some parts that wouldn’t sound out of place on a Hate Eternal or Obscura release (many parts of “Devastate” and “Dissimulation” for example). The Discovery manages to make good use of their keyboardist, [usually] without going over the top, something they used to have trouble with. What Born of Osiris still seem to have some trouble with is a sense of connection and a general focus of their songs. Sure, they are fun as hell on their own, but the songs don’t always flow together like they could. The ambient tracks are nice, but seem somewhat forced in an otherwise turbulence-free metal album. What The Discovery lacks, like A Higher Place and The New Reign as well, is a main goal of the album. What this means is a feeling of completion, that everything that they wanted to say, has been said. It ends somewhat abruptly after 53 minutes with the over-the-top XIV/Behold combo. But maybe that’s not the point; maybe the point is a ridiculously fun, technical experience for the forward-thinking metalhead. And if that’s so, then this album goes above and beyond almost anything else I’ve ever heard. Sure there will be those who write it off with one half-assed listen simply because it has 7-strings and some chug/djent whatever, or probably because it doesn’t fit in with their s00per elite doom/black metal collection they cherish. But before you tag The Discovery as another generic deathcore record, I challenge you to find me just one other album that sounds remotely like this one. i liked the review, have a pos. is there a stream somewhere? good read, have a pos. This album was pretty meh like the rest of their stuff. Good review. sup 36, long time no talk. im sure youll like this. thanks guys. Good review. I'll look into this. Techno? How dare you bring that word into this thread! i can't get into BOO simply because of the vocalist, it's sad because i should like this.